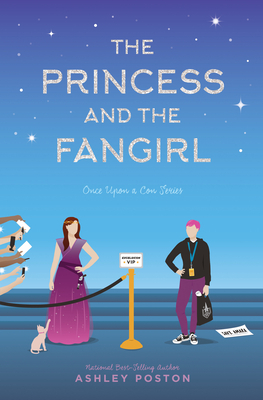 If a fangirl's heart is reflected in the things she loves, you'll find mine in THE PRINCESS AND THE FANGIRL. When a PR crisis hits the latest Starfield movie, actress Jessica Stone and megafan Imogen Lovelace are forced to swap places at ExcelsiCon in a grand plan to save the sequel—so long as they don't get caught. The perfect weekend read, Ashley Poston's latest is both a rollicking rom-com and a thoughtful coming-of-age story about what it means to bare your true self to the world. You'll gasp, you'll cry, you'll cheer. Grab the popcorn and settle in—you won't want to put this one down.